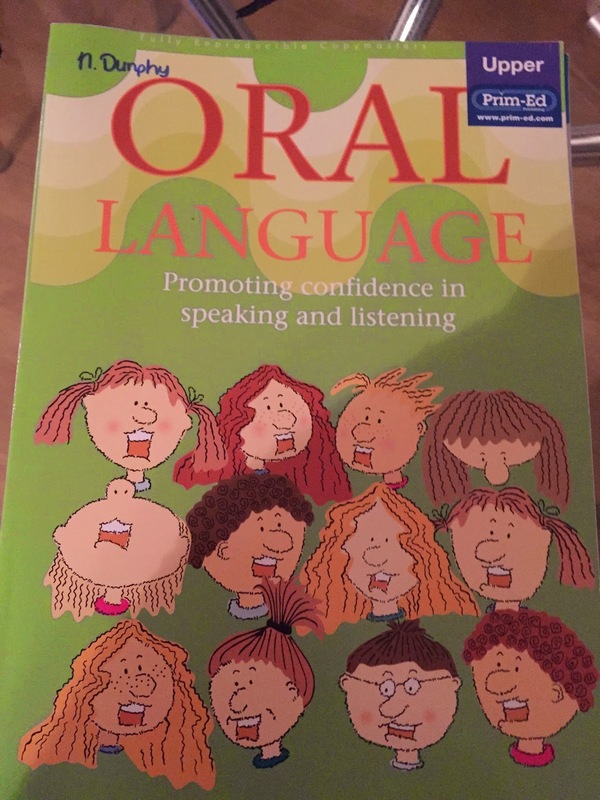 This series of 3 books (lower, middle and upper) helps to develop oral language skills. 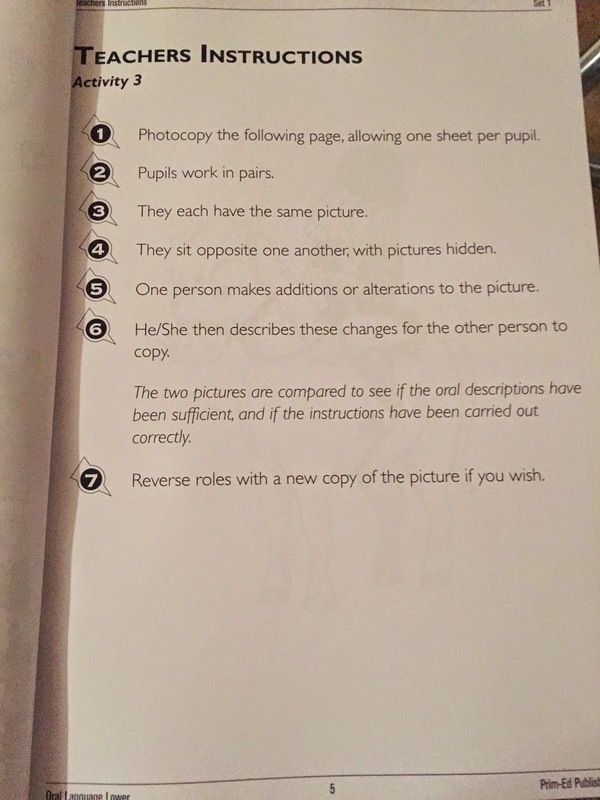 There are a number of different activities in each book for whole class or pair work. It encourages good listening skills. 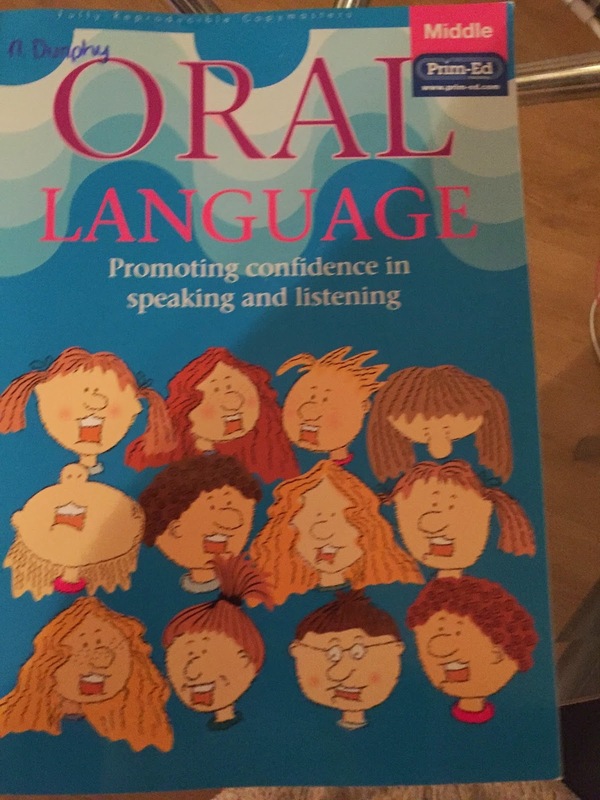 It links with the curriculum in the areas of ‘Receptiveness to Language’ and ‘Competence and Confidence in using language’. There are 3 sets of activities for each book. 1. 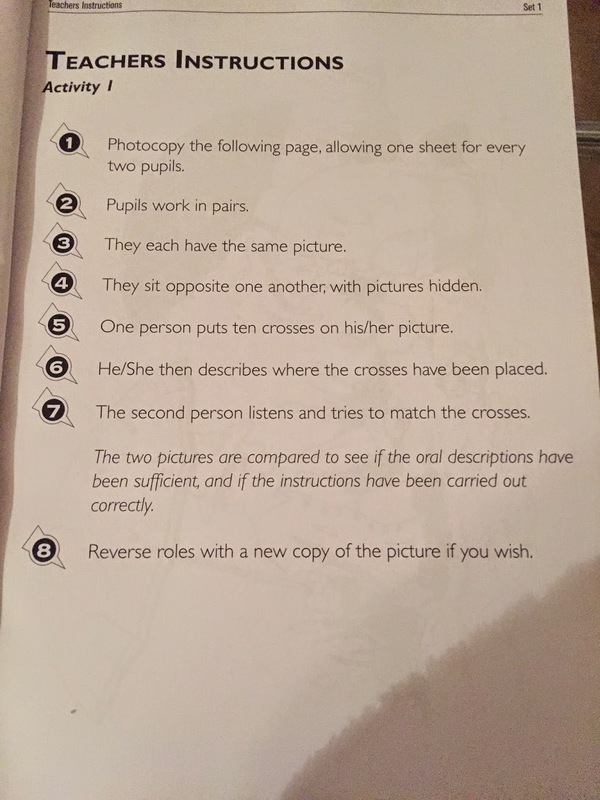 Children work in pairs, they have the same picture, child 1 puts 10 x’s on his/her picture and then describes where they have put the crosses, child 2 then places x’s on his/her picture to match their partner. 2. Children get the same picture. 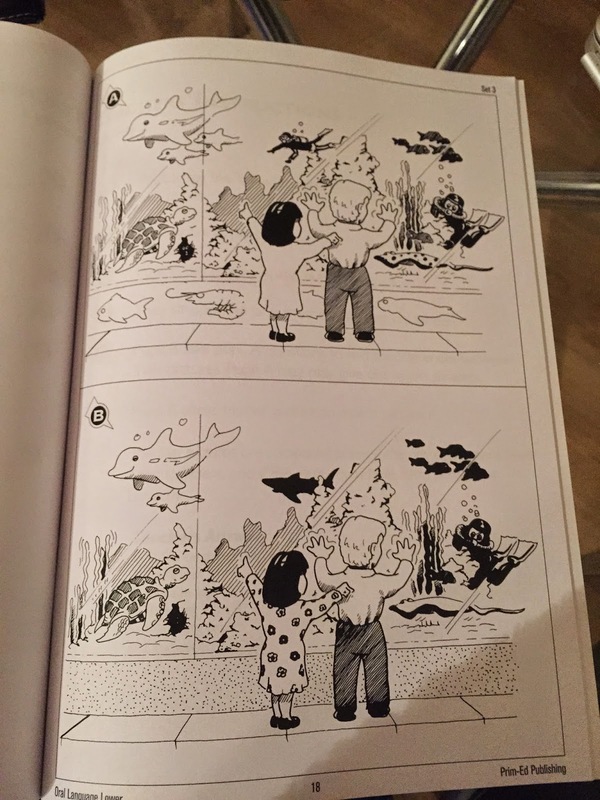 One child adds or alters the picture and then describes the changes. Their partner then tries to copy their partner. 3. 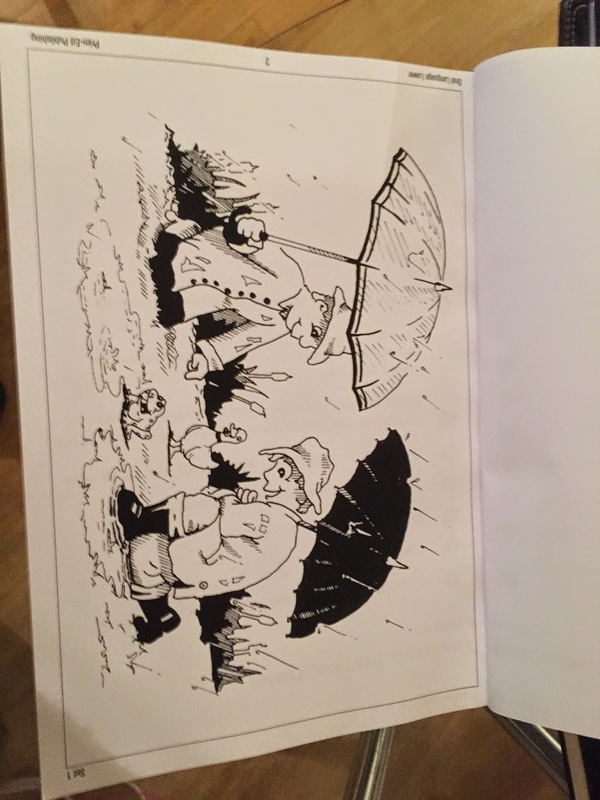 Spot the difference activity – there are 6 differences between each picture. 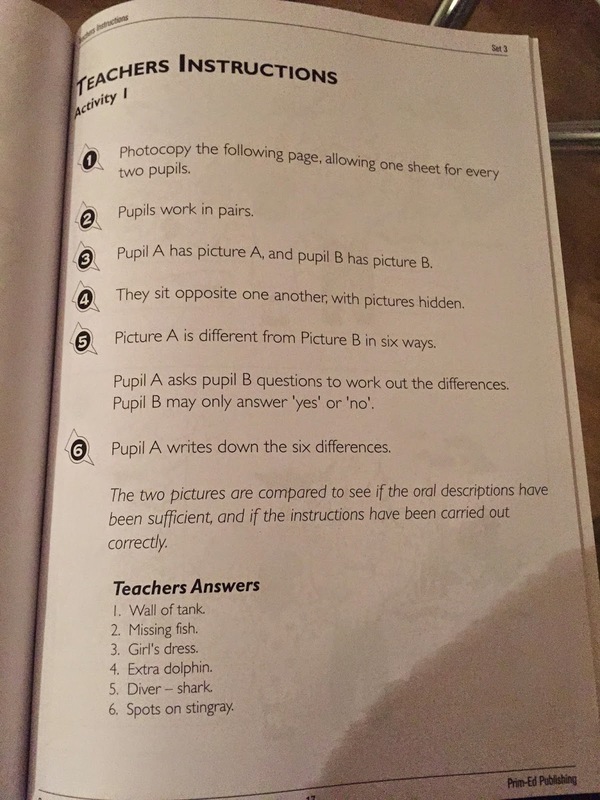 Pupil A asks questions to work out the differences. Pupil B can only answer Yes or No. Children work in pairs with the same picture. One child colours parts of his/her picture and then describes to the other person which parts of the picture to colour in and the colour to use. 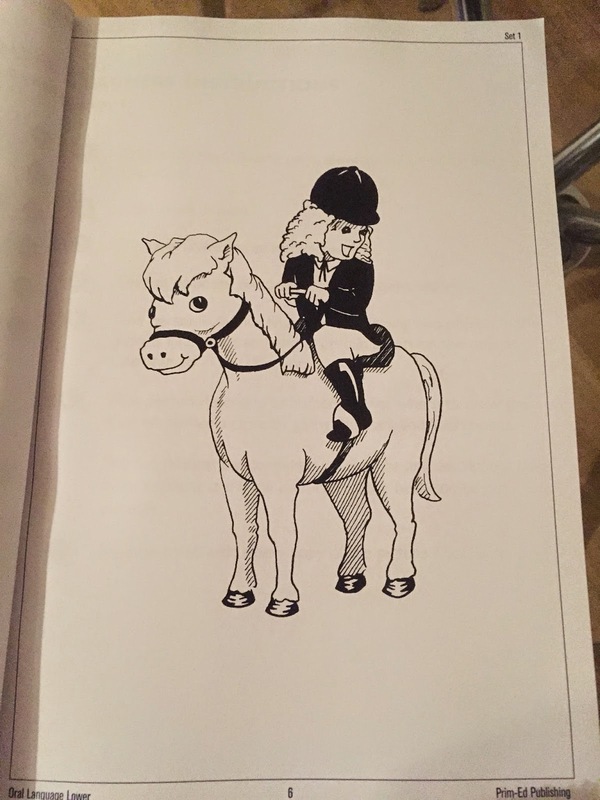 The two pictures are then compared. Children work in pairs. One child draws 5 lines joining different objects in the picture. He/She then describes where the lines have been drawn. The other child copies.